Love Chili, but can’t have nightshades? 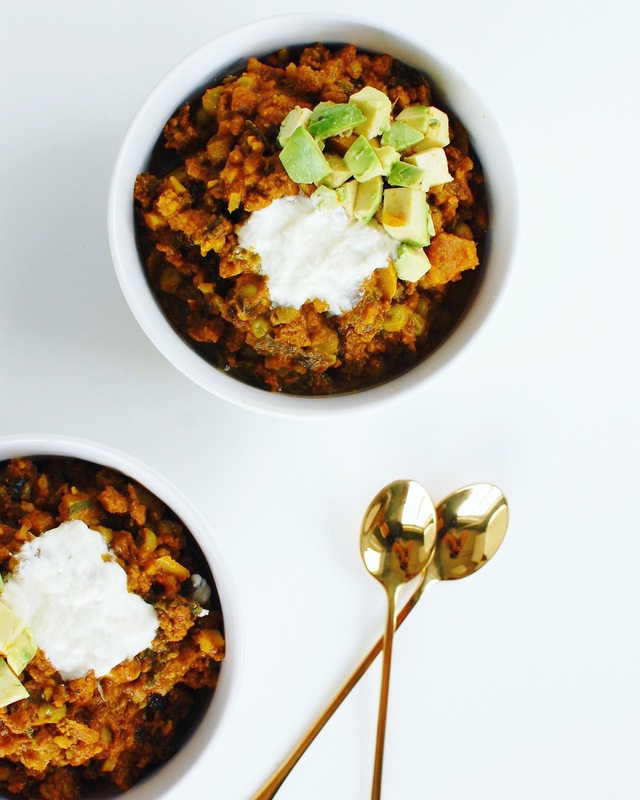 This Nightshade Free Paleo Chili is just for you! Love chili, but can’t have nightshade vegetables? 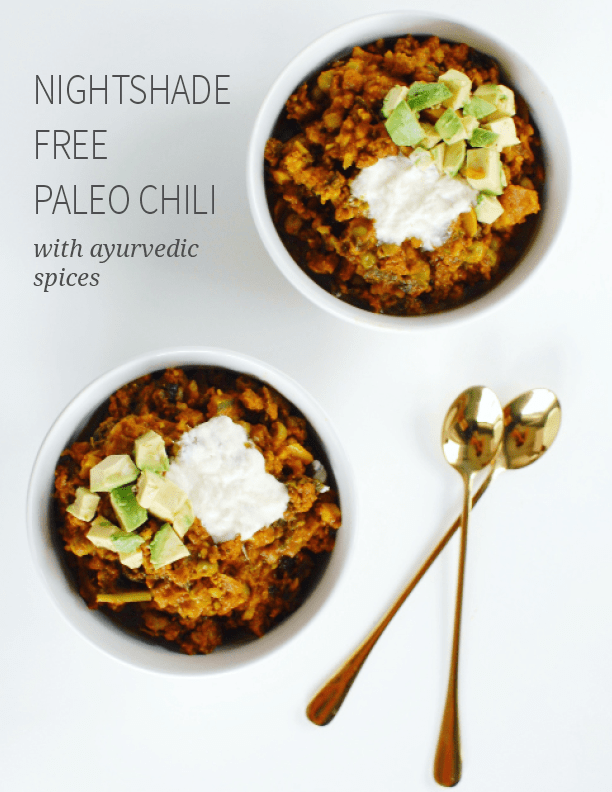 You need this Nightshade Free Paleo Chili! For some people, nightshade vegetables have an irritating and inflammatory effect. This is no bueno, especially when you love foods loaded with nightshade’s like chili! Not sure what nightshade vegetables are? Nightshade’s are tomatoes, tomatillos, peppers, goji berries, eggplant, potatoes, and tobacco! 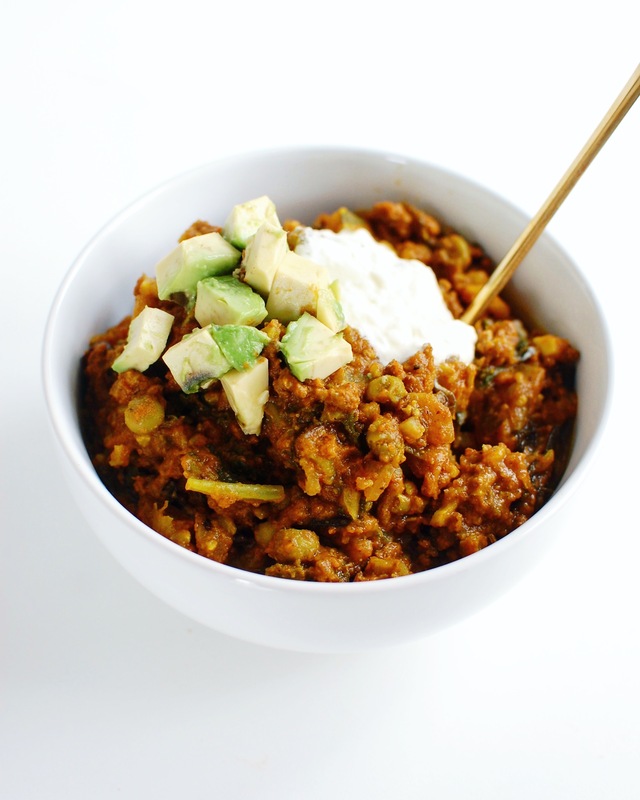 Anyways, I’ve been meaning to make this recipe for quite some time because I have been really into ayurvedic spices and this seemed like the perfect opportunity… especially after getting grass-fed beef for $3/pound, holllaaaa. 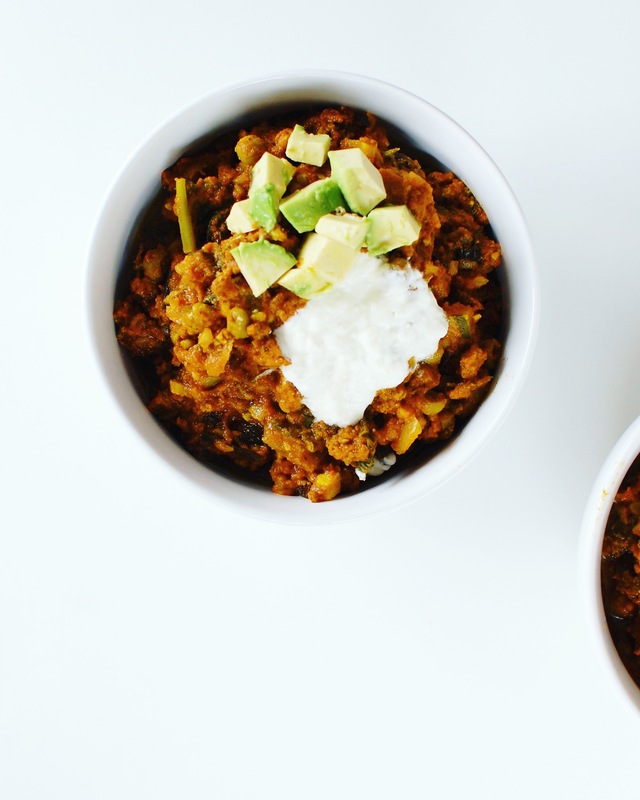 This recipe obviously tastes different than your traditional chili since it is void of tomatoes as they are nightshade vegetables! Instead, I used pumpkin, which is amazing at healing the gut along with gut-healing ayurvedic spices! These spices are not only great for digestion and gut- health, but they are also extremely warming and grounding aka perfect for winter! It’s also great because it loaded with vegetables, so you are truly nourishing your body with goodness from the inside out. Get creative with this and switch it up with different spices if that’s your thing! 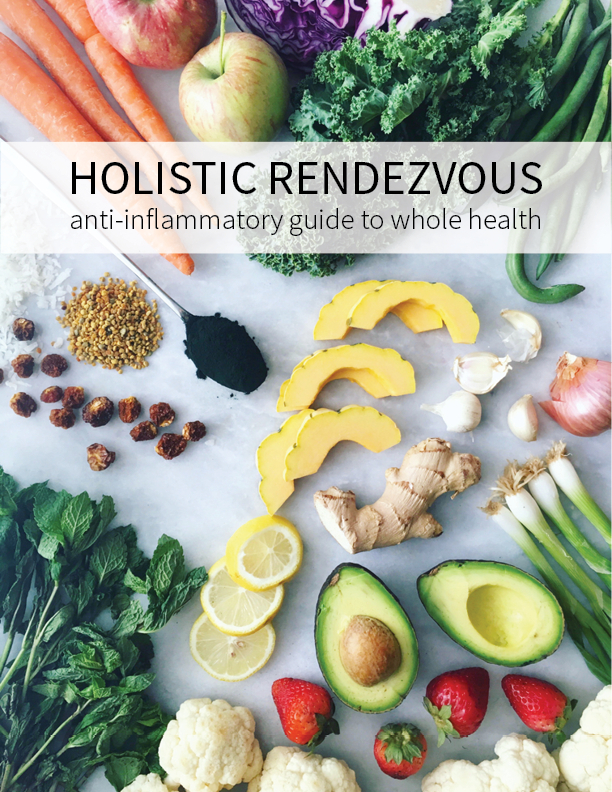 I created a spice blend, but you could also use this ayurvedic blend for ease! I also love this brand of spices! Sautee onions and garlic in ghee. Next, add in ground beef and brown. In a crock pot, mix all of the remaining ingredients. Once beef is browned, add it to the crockpot with the rest of the mixture. Allow this to cook on low for a few hours, or use the chili setting on your instant pot for a quick meal!